No doubt helped by the fact Ubisoft released a very cool guide back at E3, we’re already seeing quality cosplay from Assassin’s Creed Odyssey. 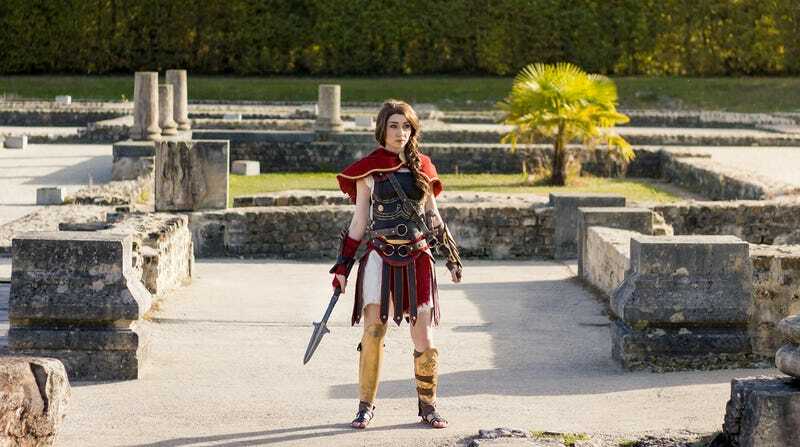 This is French cosplayer Phobos, who built Kassandra’s outfit from EVA foam, worbla, sculpting clay, linen and some fake leather. Her boyfriend Thibaut Claudel is responsible for the photos, which were all taken among some ancient ruins to help set the mood.